There’s only so long you can carry on, hoping that it will get better, putting on a fake smile every day. But, now you’ve reached the end of your tether – and you’re just about ready to jack it all in. Whether you want to go travelling, go back to education, or find yourself a new job, it’s important to consider whether you really are making the right decision. Leaving a job can mean a big upheaval – for you, and for your family, too. 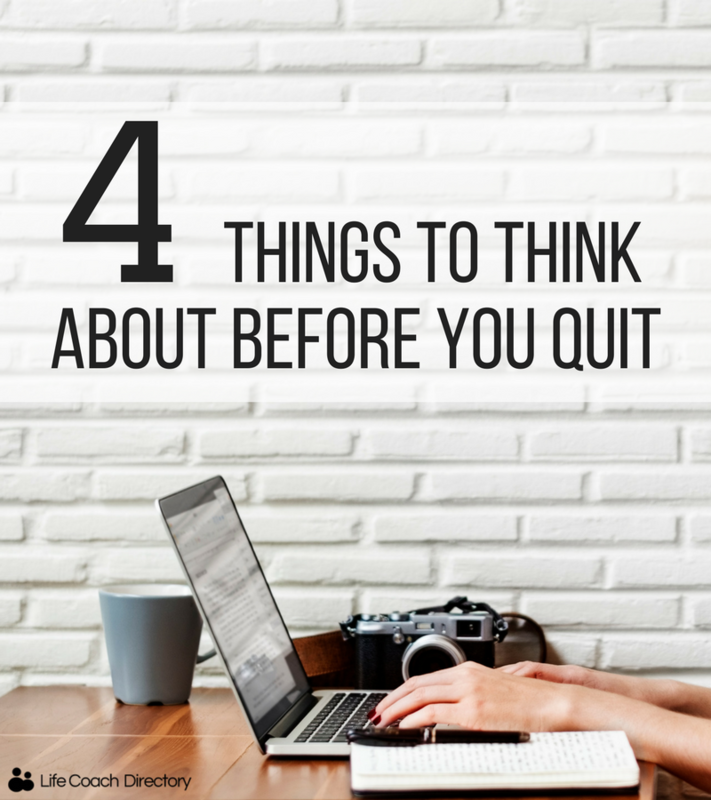 We’ve got four questions for you to consider – before you march up to your boss’s desk and hand in that resignation once and for all. If you don’t have a plan, quitting your job can put you into panic mode. If you have no savings or money behind you, the novelty of living outside of the nine to five could get pretty old, really quickly. Talk to someone you trust about how you’re feeling. If quitting is something you’re dead set on, ask them to help you formulate a plan of where to go from here. No one else can tell you what is right for you, but getting your feelings out in the open can be a big stress reliever. 2. Are you thinking logically? If a conflict has just occurred, tensions may be high. Work on a month rule – if you still feel the same in four weeks time, maybe then it’s time to do something about it. It might be a case that the dust just needs to settle before things return to normal. 3. Do you just need a break? If you’re struggling with work/life balance, consider taking some time out. Do you have some holiday you can take? This can give you time to think, away from the hustle and bustle. Even a day or two away from the work environment can be enough time to allow you to refocus and recharge. If it’s some extended time out to travel that you want, your organisation may be prepared to hold your position open for an agreed length of time, or even offer you a sabbatical. If you want to take up a college course or a Masters programme (if you’ve already completed a degree), do you know if that’s something your company will support you through? You could consider doing a course part-time. If your managers recognise the will you have to develop in your field, they might even be prepared to offer some funding. It is always better to be upfront and honest about what you want out of life – better to be true to yourself, and prevent regrets later on in life. This is a skill that bosses and managers value in employees. 4. Could things get better? Some of the toughest challenges will become the highlights of your career, and you’ll look back on tough times and realise just how strong you were for sticking it out. It’s also worth remembering that you can make changes without quitting. Have you considered talking to your boss/manager? Maybe you would benefit from changing departments, or adjusting your job role slightly. If your company values what you have to offer, this may be something they’d be happy to consider. If you are finding it tough in your current career, a career change might be the way forward. For more information on how a career coach could help, take a look at our fact-sheet.